If there is one thing that you should definitely have in your closet, it's clothes that can actually relate for more than just ONE SEASON. Having such clothes in your wardrobe will definitely save you money and your style a little bit more connected (since it does translate from one season to another). Examples of such clothes in the Erzullie collection? The chiffon top and the girdle skirt! 1. Use the Chiffon top as a cover up for your swimsuit. 2. 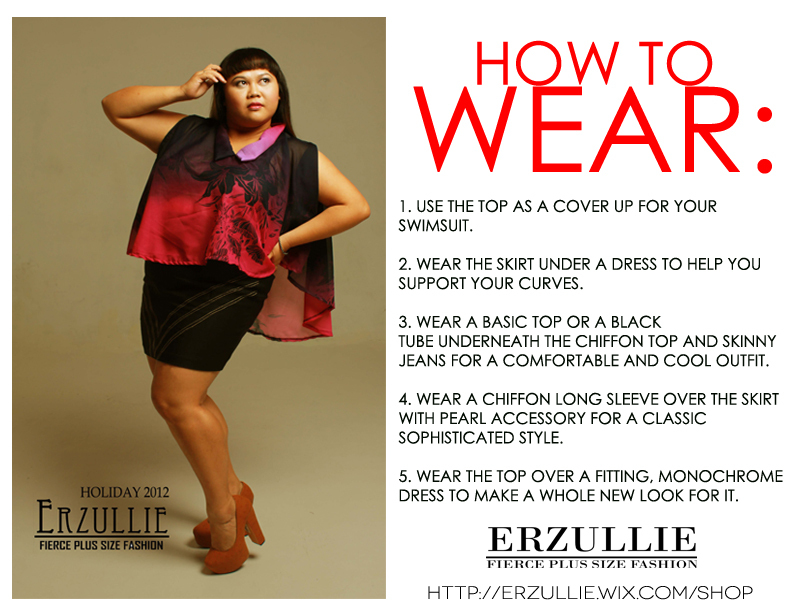 Wear the skirt underneath a dress to help you support your curves. 3. Wear a basic top or a black tube underneath the chiffon top and skinny jeans for a comfortable and cool outfit. 4. Wear a chiffon long sleeve over the skirt with pearl accessories for a comfortable and cool outfit. 5. Wear the top over a fitting, monochrome dress to make a whole new look for it.